Call of JuarezJun 07, 2007Call of Juarez is an western-themed FPS adventure. The game's plot is located in 19th century Wild West, with the player taking the roles of Billy, a sneaking fugitive, and the reverend Ray, the uncompromising bounty hunter on his trail. Fast paced r.. Call of Juarez: Bound in BloodJune 30, 2009Call of Juarez: Bound in Blood transports players from a ravaged Civil War-era Georgia to the Aztec ruins of Mexico. 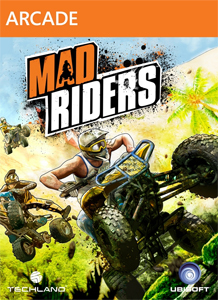 In the wildest West ever depicted, players can embody both McCall brothers in an intense storyline full of greed, lust and lawlessnes.. 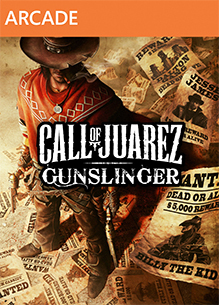 Call of Juarez: GunslingerMay 22, 2013Call of Juarez Gunslinger, a game that "unveils the untold truth behind some of the greatest legends of the Old West," will be available for download via the Xbox LIVE Arcade early 2013. From the dust of a gold mine to the dirt of a .. Call of Juarez: The CartelJul 19, 2011 (US)Call of Juarez The Cartel is the third installment of the Western action shooter Call of Juarez franchise. When a Mexican drug cartel bombs a U.S. law enforcement agency, the U.S. government puts together a special task force to bring them down. ..
Dead IslandSep 6, 2011 (US)A couple flying to the vacation of their dreams is torn apart by a violent plane crash. Take on a harrowing quest to find your lost wife. Enter into the dark world of a devastated tropical paradise now plunged into chaos. It’s a place where the word ..
HellraidTBAHellraid is a first-person co-op slasher that offers two games in one: a single-player, story-driven campaign of hack & slash action; and unique, co-operative multiplayer that pits four players against the denizens of hell – and each other – in a bat..
nail'dNov 30, 2010 (US)Nail'd is an arcade racer by Deep Silver and Techland. No other racing game has ever featured such differences in altitude! Only those who master daring jumps into unknown depths at ultimate top speeds stand a chance to win the challengi..
WarhoundTBAWarhound is a non-linear first person perspective action shooter set in modern times. You take the role of an elite mercenary who will not hesitate to undertake even impossible tasks... for the right price. Governments, businessmen and various organi..